After having come back from Kilimanjaro and the Safari that goes with it, I all of a sudden noticed that it was only 10 more days until I will leave for my next adventure and go to Makalu, the fifth highest peak in the world. The Tanzania trip went well and even though I did not get to the top this time as one of our guys suffered from altitude sickness at about 5,600m and we had to turn back, it was once again a pleasure to be back in Africa. 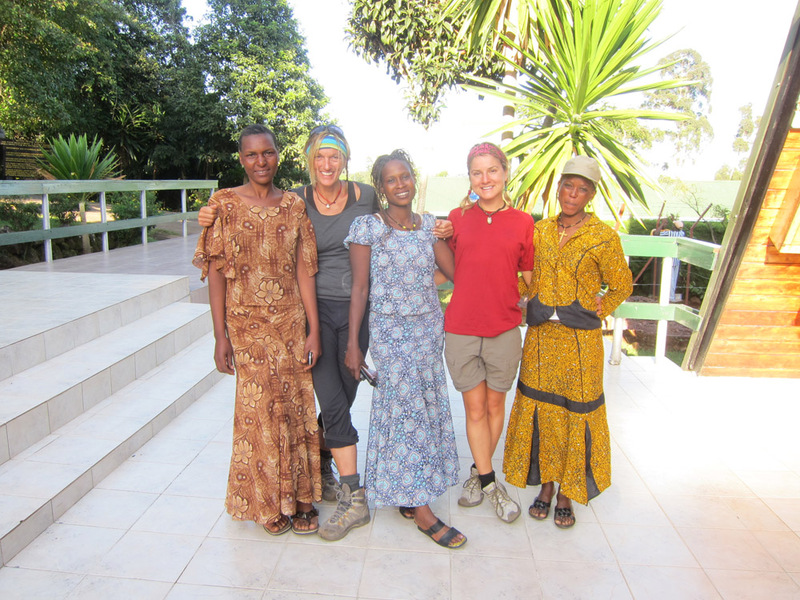 I really enjoy working with the Tanzanian guides, cooks and porters and I am impressed by how organised and slick their operation is. Like in January, I led a group for Northwest Voyageurs, a US operator, and I had a great crew around me. Ian, our guide, and his team were a joy to work with and the group I was leading was a lot of fun. At this point, I would like to thank Simba (aka Tim), Chip, Jake, ‘Mama Jake’ (aka Beth), Andres and Gülis for their great spirit and their sense for adventure. I am now back in the ‘Do’ as a lot of expats call the Nepali capital and I am trying to get my head around the fact that I will be heading to yet another 8,000m peak in only a few days. Makalu, which stands for ‘the Great Black One’, has been on top of my favourite 8,000m-peak list for a while and I am very excited that I will finally go there. 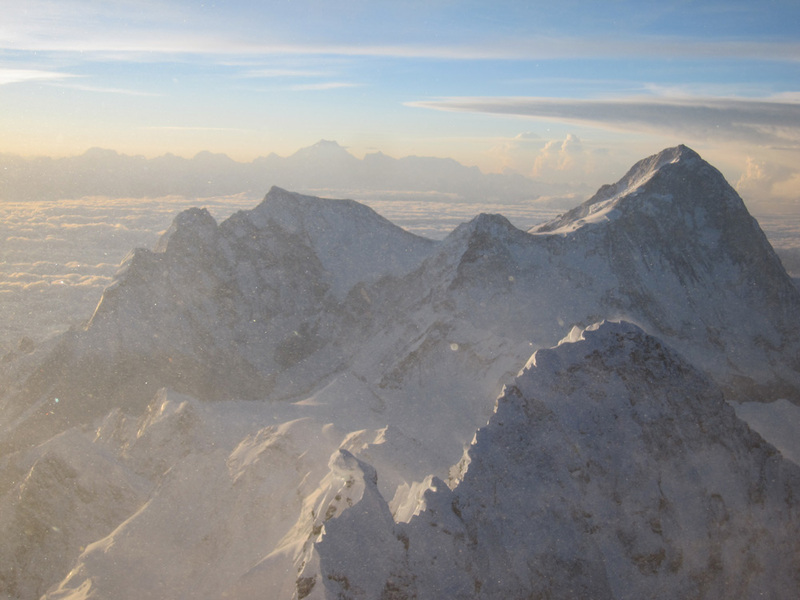 Like many 8,000m peaks in Eastern Nepal, the success rate for Makalu is definitely higher in the spring, however, my commitment to write the Newsletter for Russell Brice during his Everest expeditions makes it hard for me to attempt this 8,485m peak earlier in the year. I am already leaving him in the lurch this autumn as he will have to write his newsletters for this year’s Manaslu expedition. This time I will be joining an expedition run by the Swiss operator Kari Kobler, who I got to know very well over the past few years working for Miss Hawley. Kari has been leading expeditions to Everest and other 8,000m peaks for more than ten years and has a lot of experience under his belt. Our expedition leader will be Suzanne Hüsser, a very strong Swiss mountain guide who spends about six months per year guiding in New Zealand. Our expedition will be made up of ten people (four women/six men) from Germany, Spain, Mexico, Switzerland, Austria and Russia and will, of course, be supported by a strong Sherpa team. It will be interesting for me to see how I will do in a new team as my last four expeditions have all been under the watchful eye of Russell Brice and his Sirdar, Phurba Tashi. I am also excited to go trekking in a new region and explore the Barun Valley, which will take us to Makalu Base Camp (4,820m) from where we will start the expedition. However, before I embark on this new adventure on 30 August, I will spend 10 days in Kathmandu hunting down mountaineering expeditions for Miss Elizabeth Hawley, the Himalayan archivist I have worked for since 2004. I still do not know what the internet facilities will be like at base or advanced base camp (ABC), however, I guess that it will not be easy to post from there. Kari will also post expedition reports on his website, so if you don’t hear from me for a while, check his blog. Last but not least I would like to thank Outdoor Research (OR), an adventure gear company based in Seattle, Washington for providing me with functional clothing and other accessories for my expeditions. I am excited to try out this new gear, which will undoubtedly keep me warm on the mountain. Until I get there – watch the space! Excelent histori about your expeditions so you have many experience in the mountaineering . I invite you visit the Cordillera Blanca Mountain Range excelent area for trekking climbing alpamayo , huascaran , chopicalqui and others . the cordillera huayhuash mountain range one of the most beautiful trek with high passes over 4,700m. in this area was filmed touching the void in mount siula grande at 6,340m Huayhuash region.